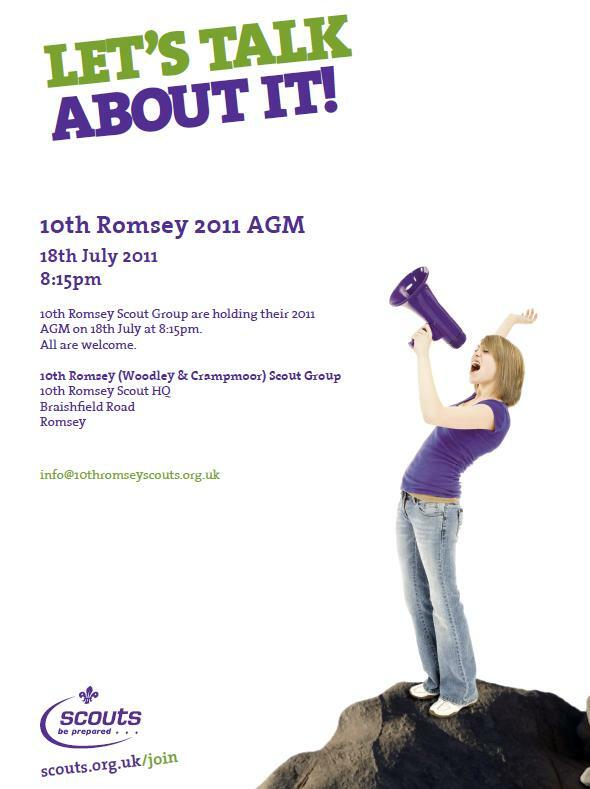 The 2011 AGM of 10th Romsey Scout Group will be held at the 10th Romsey Scout HQ on Monday 18th July at 8:15pm. This entry was posted in News and tagged AGM, Group Exec. Bookmark the permalink.